I've known Metrodeal for quite some time since I'm really an avid group buying fan. I checked my account and saw that my first purchase way back in March of 2011. Oh yeah, that's almost two years! And guess what I bought? Two buffet vouchers at Barbara's restaurant in Intramuros. Until recently, I usually looked for deals on the Metrodeal site without a technique. Now, I have a different method for checking out the vouchers. I click the “Map” link and check whatever is near my place. This handy dandy feature enables me to locate great bargains near my place. There are not a lot of deals near my house since I live in the south. 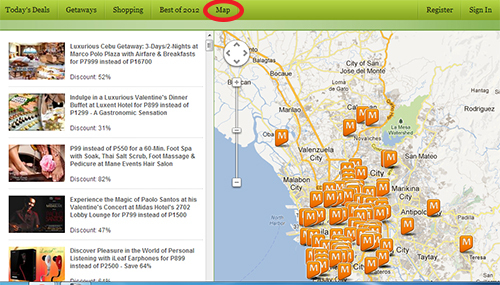 I just buy vouchers for restaurants in Manila in Makati. Or I just buy nice items. 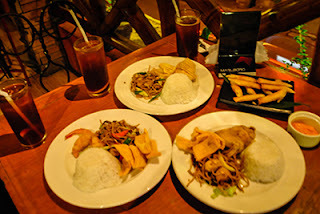 I was so surprised when I saw a voucher for Big Town's Grill - a restaurant near my home. I'm really not familiar with the establishment but I got 3 vouchers anyway. I wasn't in the mood to cook yesterday and was so hungry. I printed my vouchers and asked my friend to come with me. It turned out that I knew Big Town's Grill all along. I've eaten there more than a dozen times already. 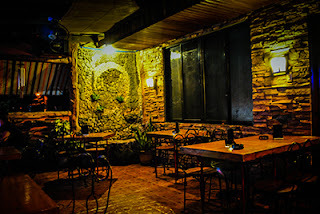 My brother and I used to go that place whenever when we were to lazy to cook and want a home cooked meal. I guess they just changed their restaurant name. Big Town's Grill is a place where friends can hang out and maybe drink some beer. But anyone would enjoy there time there...even non-alcoholic drinkers. They have live music on certain days. Unfortunately, there were no live performers when we visited because we came there in the middle of the week. 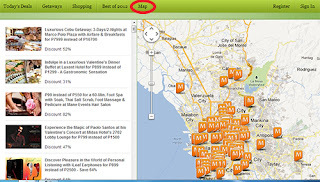 If you haven't yet, you got to check out Metrodeal's map feature. It's a really cool way to look for deals. Thanks Metrodeal!